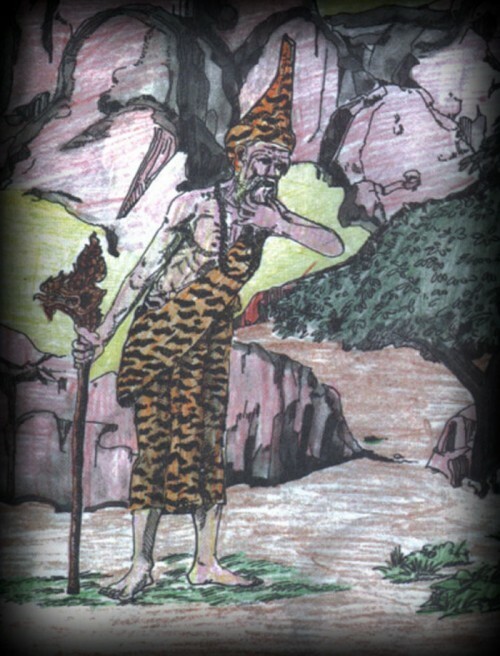 Before beginning the Thai Legend, it is important to say that the Indian Vedic Lore refers to this Lersi Hermit as ‘Gautam Rishi’. Gautam Rishi is the Father of Hanuman’s Mother, and also in a separate legend, is said to be the Father of Lersi Brahmaputra (Ruesi Prohmabudtr). He is one of the Sapta Rishi (Seven Ruesi Hermit Sages), and is said to have spent a penance practice of many many thousands of years. 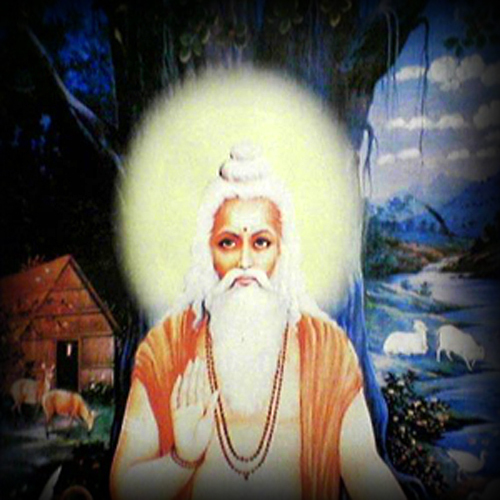 He is the discoverer of the Sacred Mantras (Mantra Drashtaa). The Indian River Kotavari is said to be named after him. In Indian Lore, he is said to have had two sons, Vamadeva and Nodas, which are not mentioned in Thai Mythology, but whom (Vamadeva) is mentioned in the third book of the Rig Veda. In the Sama Veda (caled ‘Sam Waet’ in Thai), Rishi Gautam is said to have had a wife called Ahalya, whome the God Indra desired – this story is included in the Thai version of the story, but the name of his wife is changed to Anjana, which is also found in Vedic Lore. The two names seem to be referring to the very same person. Lersi Kodom, or, Rishi Gautam, was responsible for the writing of the Gautam Dharma Sutra. Lersi Kodom was born of the Deva Pra Atid and Nang Apsorn (Nang Apsorn is a kind of heavenly maiden of which there are many – created from the mixing of the great oceans (a legend mentioned in the Mahabharata) as the Asura tried to make Amrita). 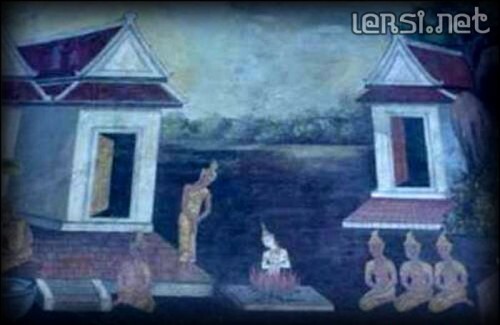 As a small child, Lersi Kodom was given into the care of Rachasri (a Himapant animal in the form of a lion) and Nang Graisorn. When he grew up, he then received a magical ring and scarf from his father Pra Atid. In addition to this he received a special potion from Rachasri which could bring people back to life. Lersi Kodom once had two wives, named Nang Apnamala and Nang Mani Sakorn. Nang Apnamala saw that Lersi Kodom loved Nang Mani Sakorn more than he did her, and thus made a love potion to make him fall in love with herself. But Arun Kumara meddled with the potion and it didn’t work. When he found out about the potion, Lersi Kodom was furious, and even ordered Nang Apanamala to be executed. But Arun Kumara begged him to have mercy on her, and the punishment was change to her having to go into exile and leave the palace. Lord Kodom was the ruler of Saged kingdom. He didn’t have a Son to be Heir to the throne, and his daughter was rather disinterested and bored with the idea of power and possessions. Thus, the lord Kodom ordained as a Lersi Hermit sage and journeyed out into the forest, where he remained practicing austerities, and keeping precepts for many years. So long did he stay there, that his beard became extremely long and unruly; tangled like a bale of straw, and his ability in Jhana meditation became very advanced. One day, a pair of birds (Nok Grajaab), came and made their nest in the Lersi Kodom’s tangled beard. One day, the female bird laid eggs in the nest, and the male bird flew out to hunt for prey, and spent the whole day pecking at lotuses to eat the pollen. As he was pecking inside one of the flowers, the sun went down, and the lotus closed on the bird, imprisoning him until dawn. When dawn came, the lotus flower opened to receive the sunlight, and the bird was able to fly up and away home. As he arrived, the female bird accused him of being unfaithful and that she thought he had spent the night with another bird. The male bird denied the accusation, and told the truth of the matter; that he had been trapped inside a lotus flower all night. But the female bird did not believe him, so to assure her, the male bird said that if he was lying, then he should receive all the bad karma of the past actions of the Lersi Kodom as his own. The Lersi heard this being said by the bird, and thus commented; “You are prepared to take on the results of my Karma? Then you think i should have some bad karma sticking to me do you?” The bird replied “Yes! you have bad Karma, because you are the ruler of a Kingdom with no Heir, and ran away to become a hermit Lersi, leaving the Kingdom to be without a ruler in future”. Upon hearing this, Lord Kodom saw the truth of the matter, and thus cut off his beard and long hair, burning it in a fire. He then sat in meditation of Jhana absorption and cast a Kata (mantra) incantation, chanting it one thousand times; A beautiful maiden was born from the flames of the fire, and the Lord Kodom named her Kala Anjana. Kala Anjana then remained with the Lersi until a child was born from them. The child was a daughter named “Swaha” (Nang Swaha was later to become the Mother of Hanuman). 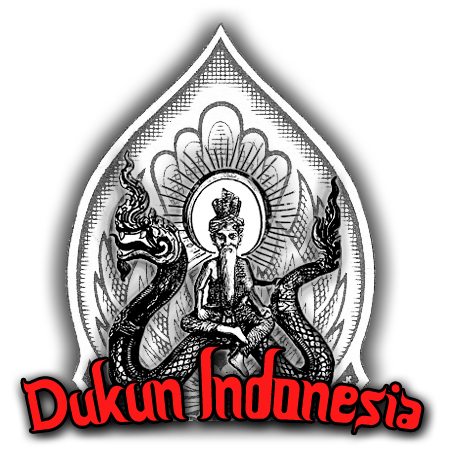 Some years later, The Lord Indra (Pra Intr) became aware that the Yaksa Nontuk had been reborn on Earth as the demon Totsagan, and that Pra Narai (Vishnu) was about to be reborn as Pra Ram (Rama). So he thought of incarnating too in the form of a soldier, in order to help Pra Ram defeat Totsagan. As he made this decision, the Lersi Kodom was gathering fruits in the forest and at a distance from his wife Nang Kala Anjana, so Pra Intr flew down and snatched her, taking her as his consort for a while and consummating to inseminate her. After 10 months, a baby boy was born, green skinned like his father Pra Intr. After some time “Pra Atidt” (Pra Atidt means “Sun” in Thai, but is also a deity in the Ramakian), got the same idea as Pra Intr, and decided to incarnate a part of his self to become a soldier in aid of Pra Ram to help defeat Totsagan. So once more, as the Lersi Kodom was gathering fruits in the forest and at a distance from his wife Nang Kala Anjana, Pra Atidt flew down and snatched her, taking her as his consort for a while and consummating to inseminate her. After 10 months, a baby boy was born, red skinned like his father Pra Atidt. Some years later, the Lersi Kodom took his wife and children to bathe in the riverbank to coll off from the heat; he carried his youngest son under his right arm,and his daughter walked holding his lef hand. His oldest son was allowed to ride on his back. His daughter, Nang Swaha exclaimed in protest “Father! Why do you love the children of another?” “What do you mean my love?”, asked the Lersi, confused. “As you were in the forest, there were two men came and stayed in the Kuti (shed) with mother”. The Lersi Kodom thus desired to know for sure which of the children were his real children, and which were born of another father, so he performed a divination ceremony, along with the casting of a spell; “Let my real child be able to swim across the river and return to me, but let those who are not born of my seed be unable to swim across, and also be turned into monkeys and remain in the forest!”. As he cast the spell, he threw the three children across the river into the water at the far shore.Nang Swaha was able to swim back, but the two boys were unable to make it, and transformed into monkeys, fleeing into the forest. Pra Intr and Pra Atidt saw the Lersi Kodom curse their children to suffer as monkeys in the forest, and thus created a city for them to rule in. This city was called “Kheed Khin”; Pra Intr’s son was named “Kaakaas” (Other sources say it was “Pali”) and was the ruler, and Pra Atidt’s son was named “Sukreep” and was the the general, ruling over the cohorts of Vanora soldiers, who were great in numbers. Sukreep later played an important role in the battle against the Yaksa king Totsagan on the side of Pra Ram, alongside Hanuman. Note; In the Vedic Indian Mythology, this story differs, saying that the Rishi Gautam (Ruesi Kodom) caught the God Indra with his wife Ahalya (Nang Kala Anjana), and cursed them both instantly by turning Ahalya (Kala Anjana) to stone, and casting a spell to make Indra sprout 100 female organs all over his body. When Pra Isworn (Shiva) learned of Nang Swaha being Cursed by Nang Kala Anjana , he ordered Pra Pay (known as “Vayu” the god of the wind, in Hindu India),to take his Cosmic weapons, and throw it into the mouth of Nang Swaha, in order to make her become pregnant with a monkey as a child. This was attained by using the Kataa (sword) as the backbone of the child, the Trident as his torso, arms and legs, and the Chakra disc was used for his head. Pra Isworn asked Pra Pay to take care of Nang Swaha as much as he could and to Adopt the child in her womb as his son too. Note; In the Vedic Hindu Version of the story, it is said that Ahalya (Nang Kala Anjana) would be released by the touch of the feet of Lord Rama stepping on her, instead of the Thai tale of Shiva ordering the God of the Wind Vayu, to throw the three weapons into her mouth. When Nang Swaha had been carrying the child in her womb for over 30 months, in the Year of Khala on the third month,on a Tuesday, she gave birth to her child. The birth was unusual in the sense that the child emerged by jumping out of his mother’s mouth! He appeared in the form of a monkey, with white fur covering his entire body. He was fully grown with the body of a young boy of the age of 16. In order to emerge, he used supernatural powers to float in the air, transforming himself into a four faced, eight armed monkey, complete with ear rings, diamond fur, and crystal fangs. He yawned, and the moon and stars came out of his mouth. He then flew down and rose his hands to his forehead in respect to his parents. Pra Pay then gave him his name, which we now know from the Hindu Brahmin pantheon to be “Hanuman”. Hanuman then left his Mother and Father to reside in solitary in the forest. One day, he was occupied in gathering fruits in the garden of Pra Uma (Kali), who was the Concubine of Pra Isworn (Shiva). Kali cursed Hanuman to have his powers and strength reduced by one half, but Hanuman begged forgiveness, and explained that he didn’t know that the fruits belonged to her. Pra Uma thus removed the curse, by prophesying that when Hanuman would eventually meet Pra Ram, who would then stroke his back and tail, that his powers would then be returned to their fullness. Later, Hanuman’s Father Pra Pay took him to see Pra Isworn, who taught him a Kata to make himself disappear with, and also gave him a blessing that; Whenever Hanuman would be killed by his enemy, he would be instantly revived as soon as the wind blew on him. He then showed Hanuman and another monkey, called “Chompoopan”, a host of secrets in the art of healing herbs and medicines (Pra Isworn created Chompoopan himself from his own sweat). The two Vanora were then sent to stay with their Uncles; Praya Kakasa and Sukreep, in the City of Kheed Khin. Lersi Kodom the Father of Lersi Kobutra? 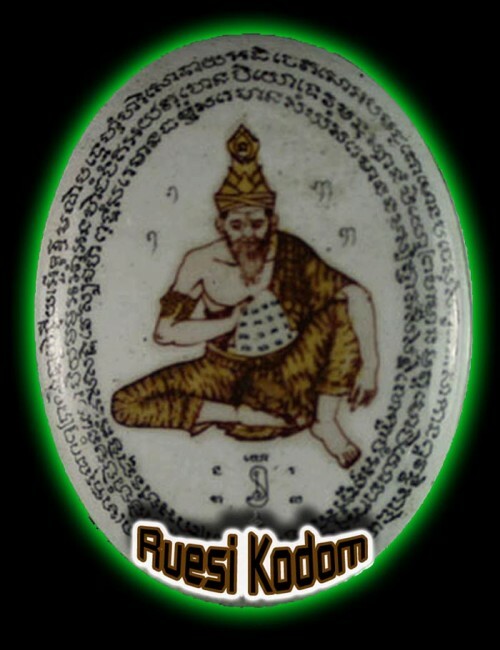 Another Thai legend says that Lersi Kodom was the Father of Lersi Kobutra, and that Lersi Kobutra received all his training from Kodom.